Akbarpur (Uttar Pradesh) is one of the Popular City (Destination) in India with more than 50 thousand population. 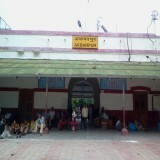 Akbarpur (Uttar Pradesh) is well connected with it's surrounded cities through Bus & with some local transporations. Book Online bus Tickets to & from Akbarpur (Uttar Pradesh) in Bestbus at very low and cheap prices. Bestbus offers Online Bus Tickets Booking from Akbarpur (Uttar Pradesh) and to Akbarpur (Uttar Pradesh). Dirrefernt types of buses were running through Akbarpur (Uttar Pradesh) including Hi-Tech AC, Multi-axel Volvo, Volvo B9R Multi-Axle Seater, Semi Sleeper and Sleepers in both A/c as well as Non A/c Buses.